The Library of the S B. Ryerson Research Centre, with its authentic historical ambience, is a space for multidisciplinary and activist consultation, including more than 14,000 documents, often annotated by the founder and other donors, and which constitute a motherlode of information and knowledge. The university of spring! University should never only be a place of creation and transmission of knowledge reserved for a privileged minority. Rather it should be place for sharing, accessible to all including those who otherwise would not have access. It should be a moment in time for intense exchanges where current or retired educators share their knowledge with the general public. 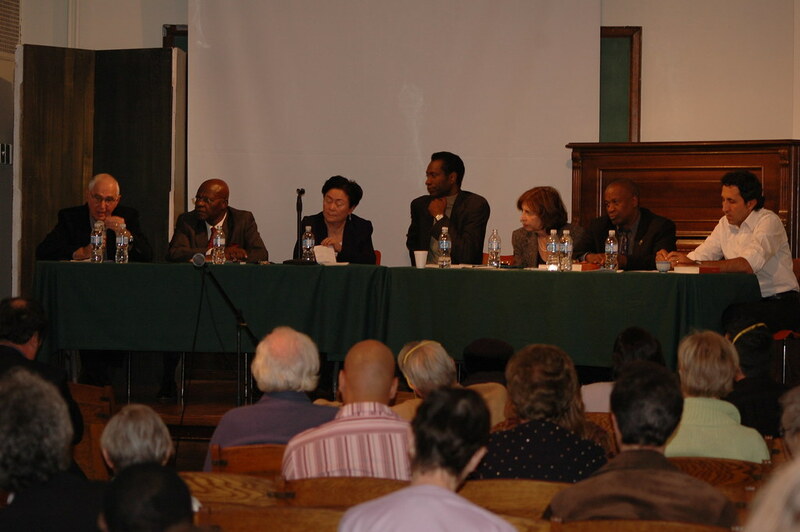 These allow the participants to delve deeper into writings and issues through discussions with their authors or their interpreters and by permitting the free debate of ideas and interaction among participants of diverse origins, always in an atmosphere of respect for ideological differences. These encourage researchers who share our philosophy and motivation to create the required knowledge essential for the creation of a fairer and more egalitarian society and social progress here and elsewhere. The grants honor future organic intellectuals. Financial and logistic support for the publication of research. Alone or in partnership, the Foundation periodically organizes conferences, viewing of films, exhibitions, books sales and other events . These are activities of CIRFA or are jointly organized with progressive partners. Volunteers meet in work groups on a weekly basis to organise, classify and preserve the collection. These are published periodically and present communications, conferences and other reports stemming from the discussion circles. The Centre offers internships with three university credits for research and writing in Social Sciences or Humanities which conclude with presentations at a public conference.